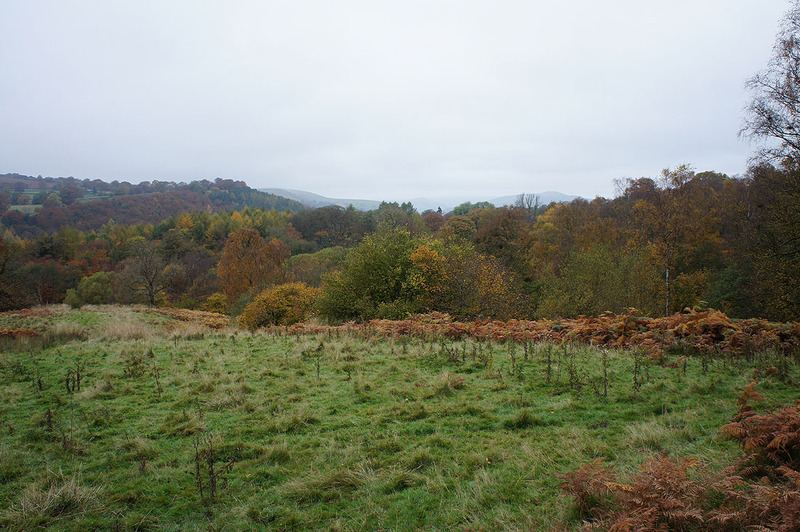 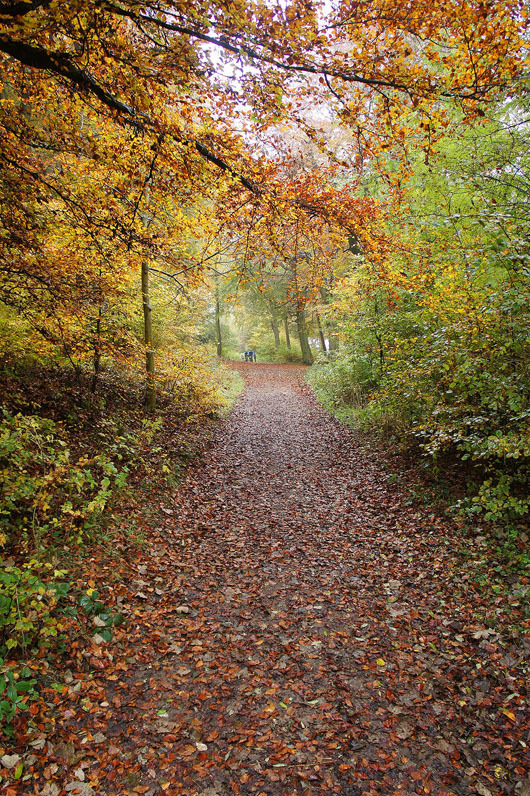 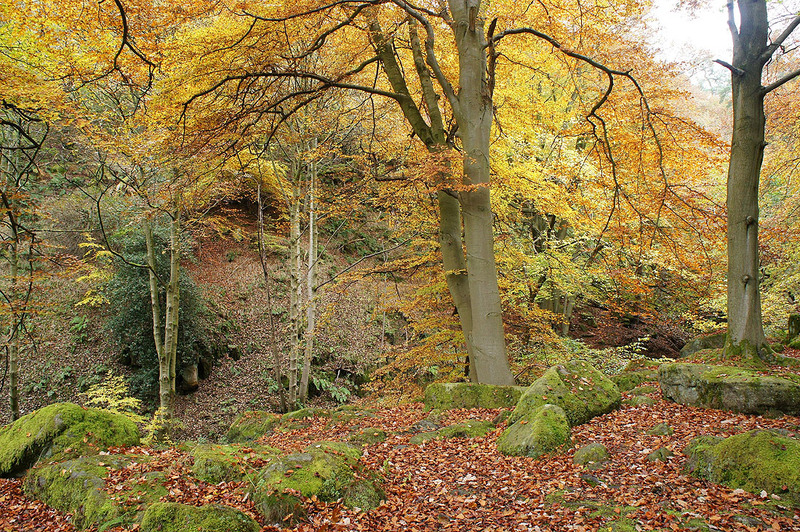 For the first time in three months my older brother Stephen was able to join me on a walk and we'd decided to head for somewhere that put on a good display of autumn colour. 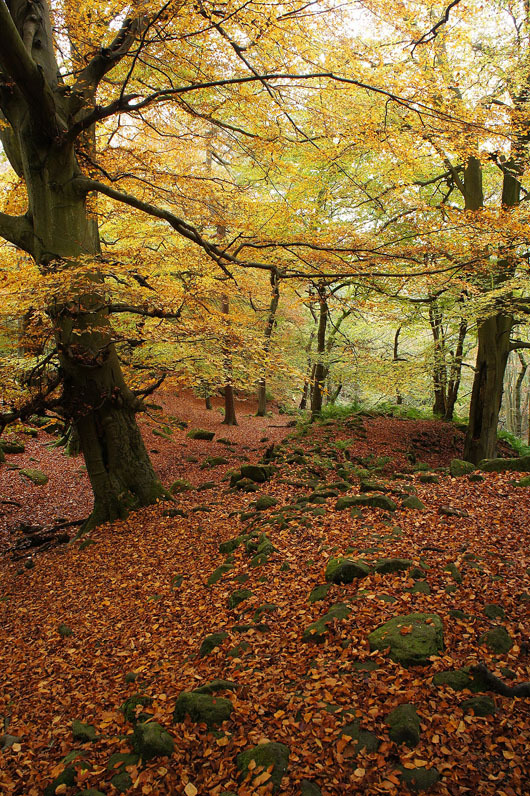 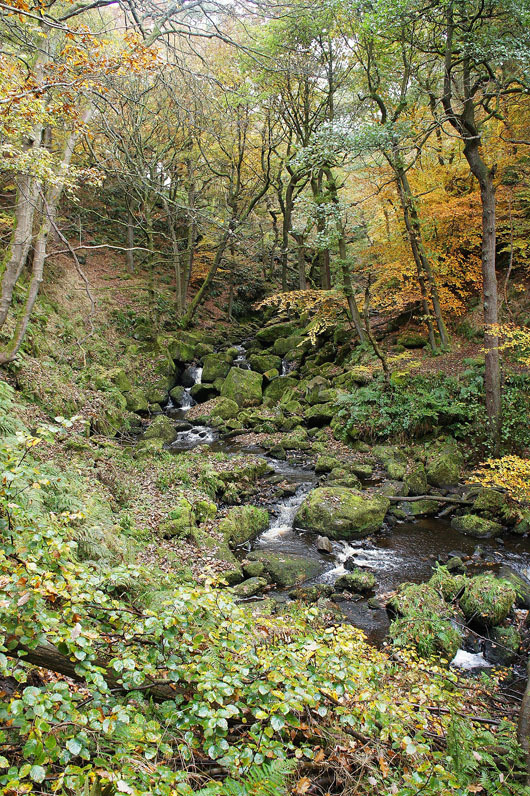 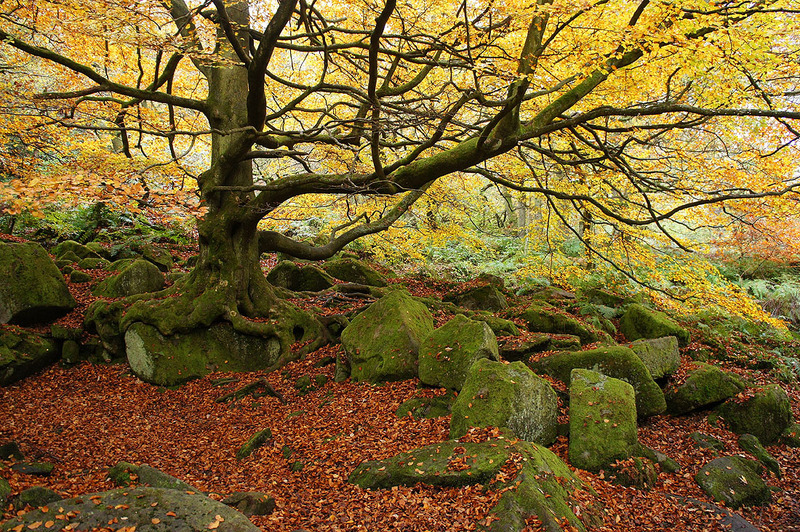 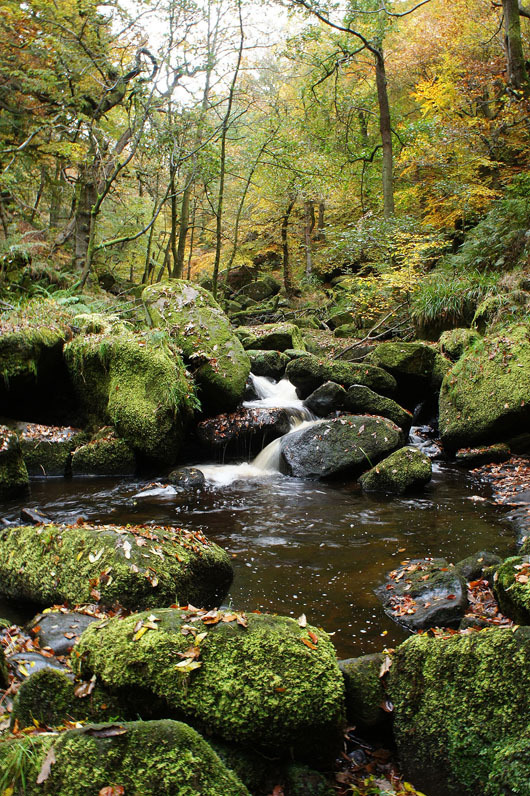 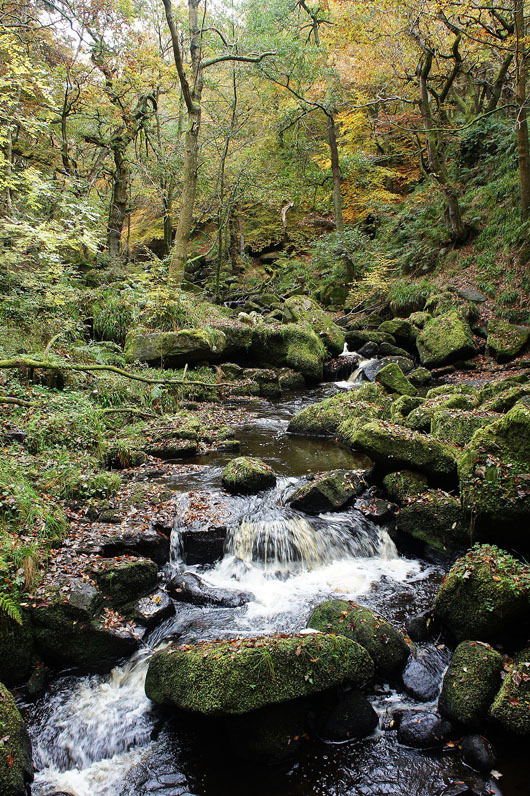 I'd heard of Padley Gorge in the Peak District, had seen photos of it but had never been. 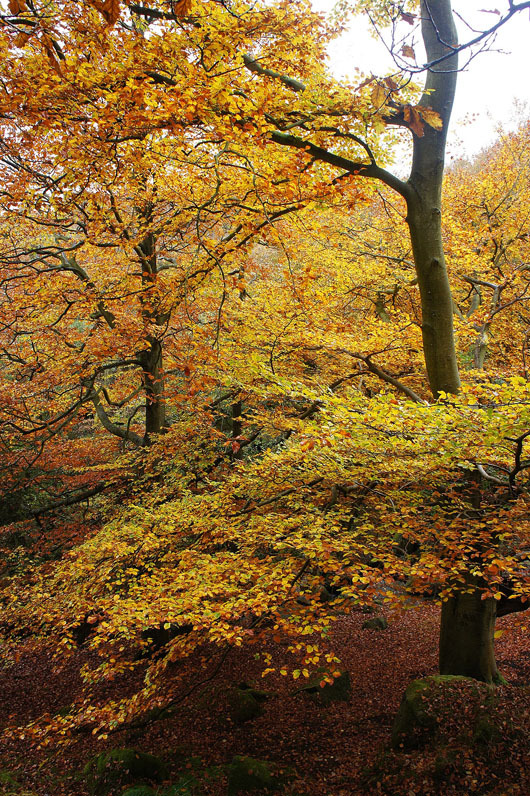 This was the perfect time of year for a first visit. 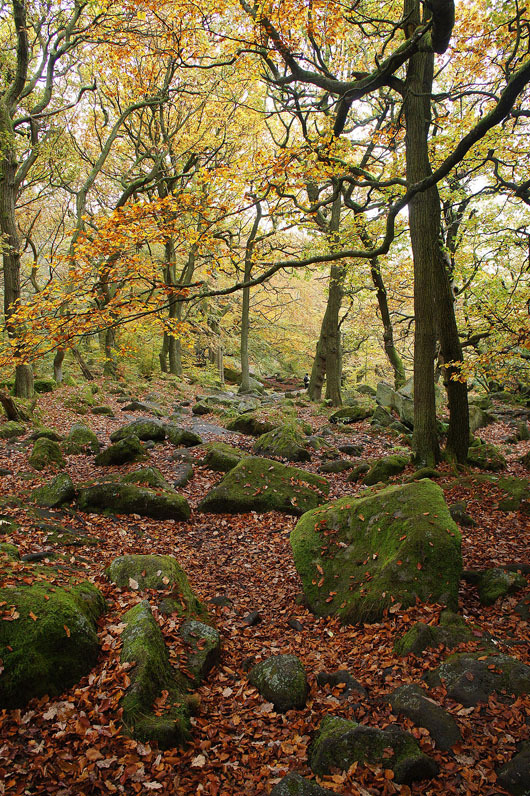 The combination of the trees in their autumn colours, moss covered gritstone boulders and Burbage Brook tumbling down the gorge was a delight to walk through. 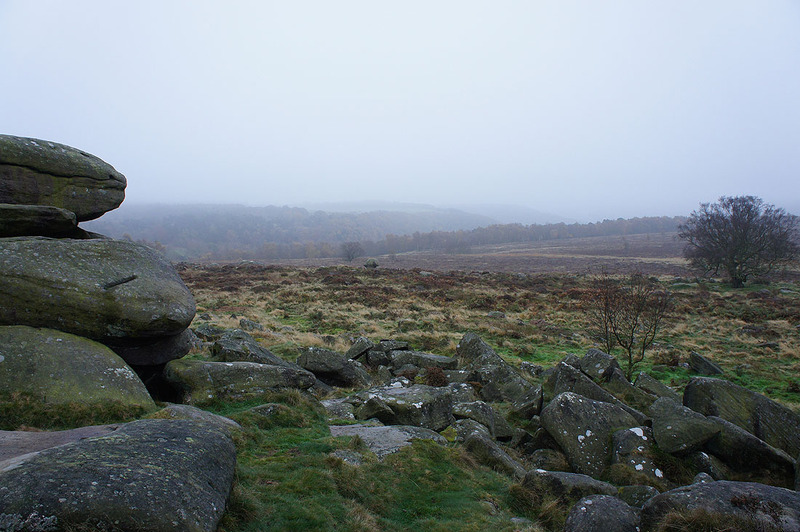 Given that the moors were shrouded in mist and hill fog this weekend it was the ideal location and definitely somewhere that I'll be going to again. 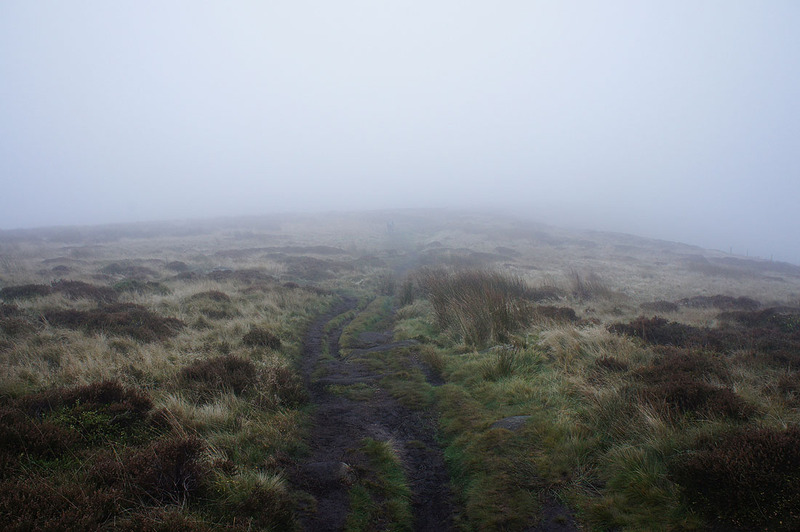 The rest of the walk was a bit of an anticlimax after that especially as the cloud got even lower so that when we arrived on Higger Tor there was a real pea-souper. 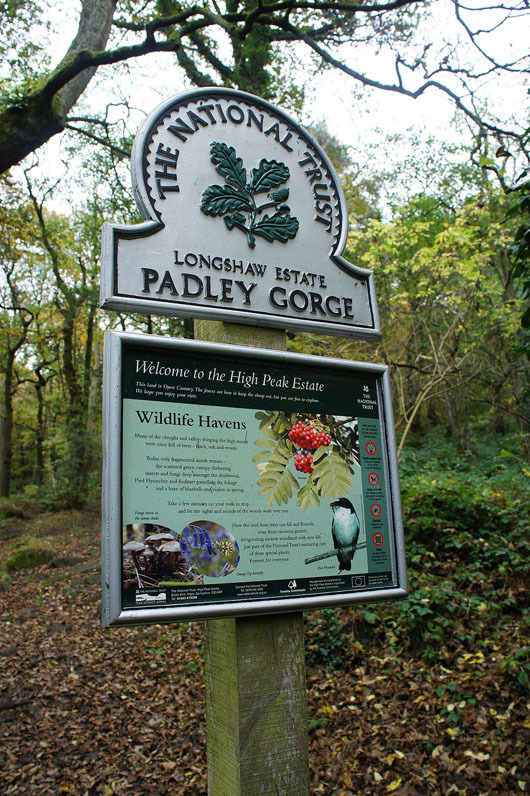 ​From the car park for the National Trust Longshaw Estate we made our way along the trail to the visitor centre next to Longshaw Lodge, onto a path past a pond and through woodland to the B6521. 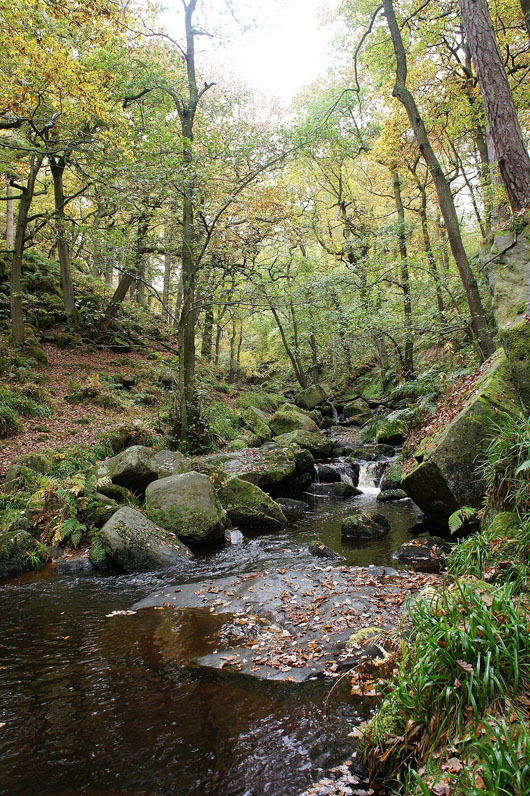 After crossing the road a path then enters the woodland at the top of Padley Gorge. 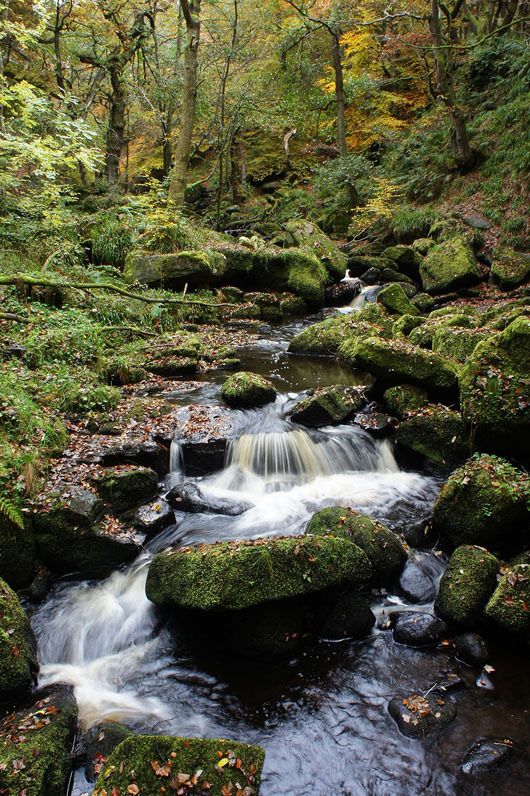 We then made our way down the gorge, crossing a couple of footbridges and trying to stay as close to Burbage Brook as we could. 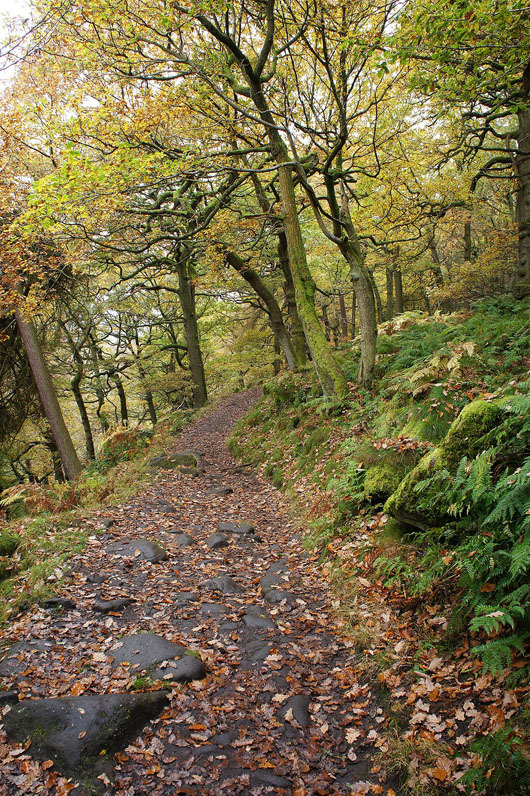 The path exited Padley Gorge onto a private road just north of Grindleford Station. 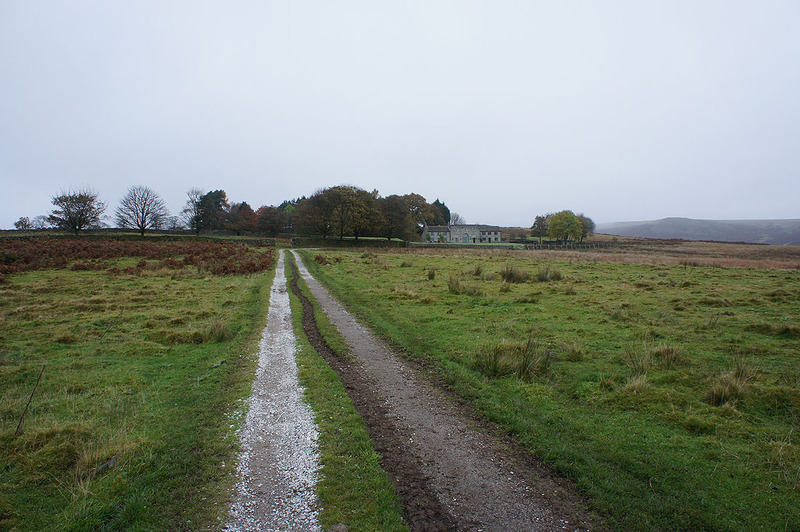 This road was followed west past Midland Cottages and Brunt's Barn before heading gradually uphill past Greenwood Farm to reach the A6187. 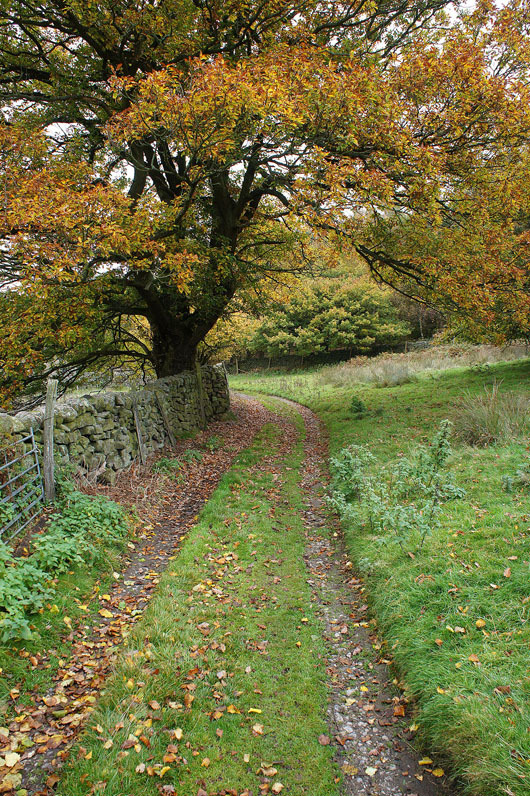 This road was crossed, the one towards Fiddler's Elbow taken and after a few hundred yards the footpath up the drive to Scraperlow was walked. 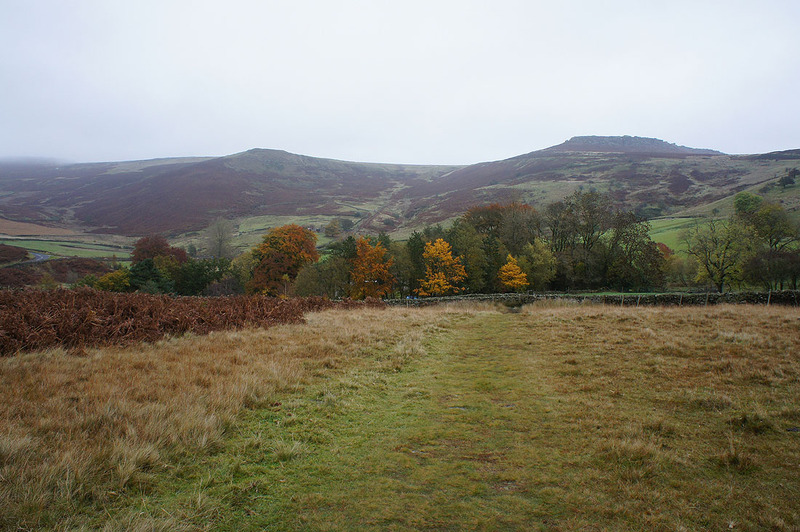 The path goes round the house, then across moorland and down to Mitchell Field. 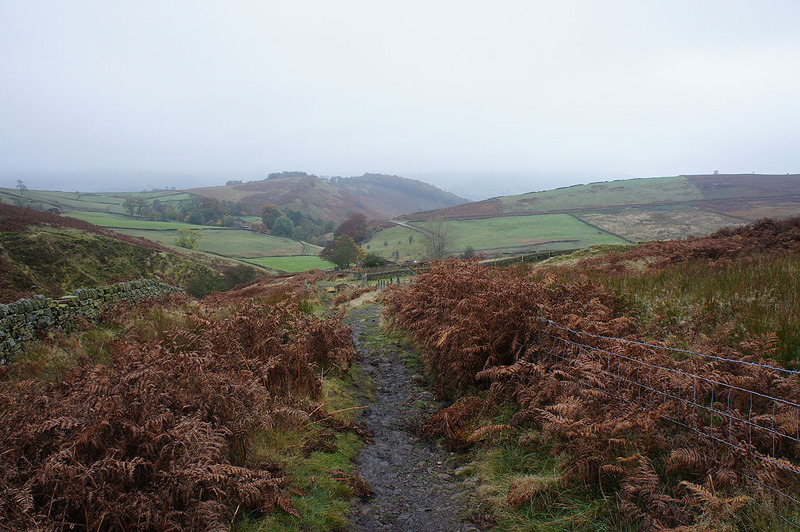 We then took the footpath from here up Callow Bank to reach the road at Fiddler's Elbow and a short time later we were on the top of cloud covered Higger Tor. 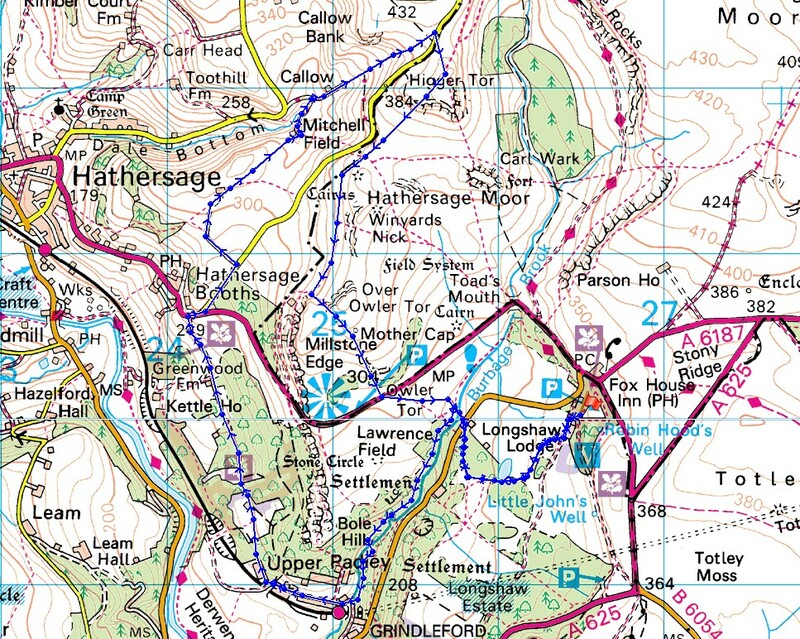 Navigation was a little tricky now so we kept to a clear path that ran south to the west of Hathersage Moor and Winyards Nick, and past Over Owler Tor to the Surprise View car park. 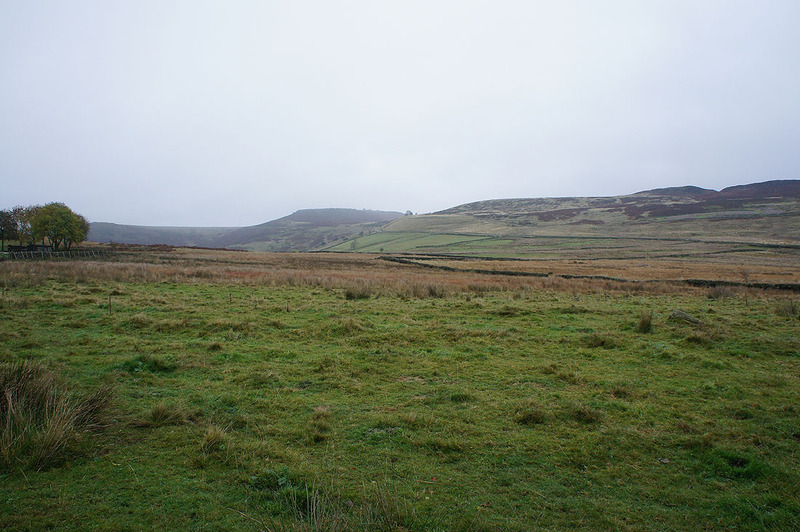 The A6187 was crossed again onto a footpath past Owler Tor and then across a footbridge over Burbage Brook and up to the B6521. 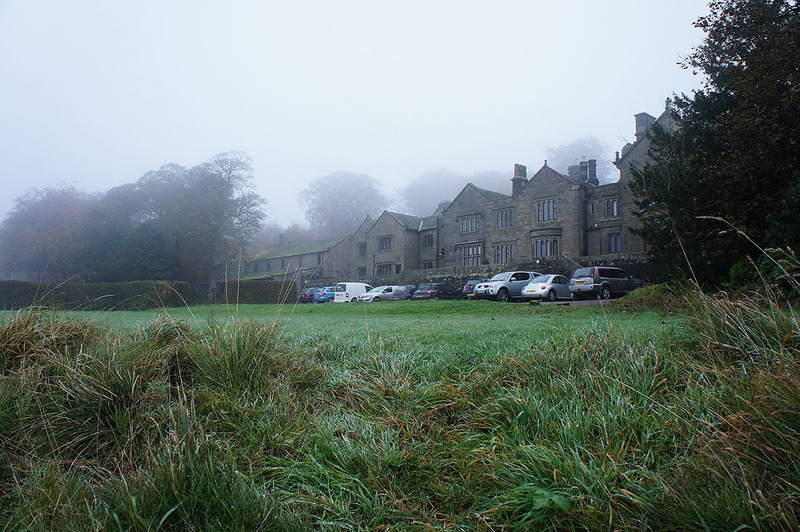 We met up with our outbound route here, so we retraced our steps back to Longshaw Lodge, (stopping for a visit to the cafe) and the car park. 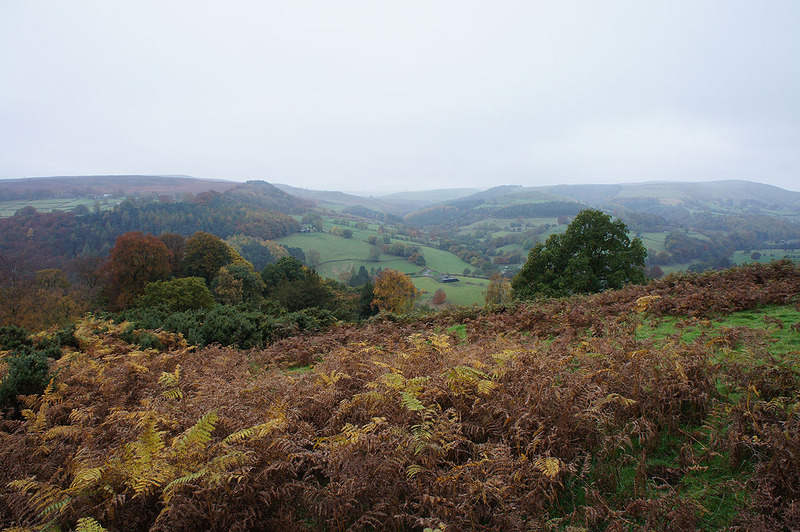 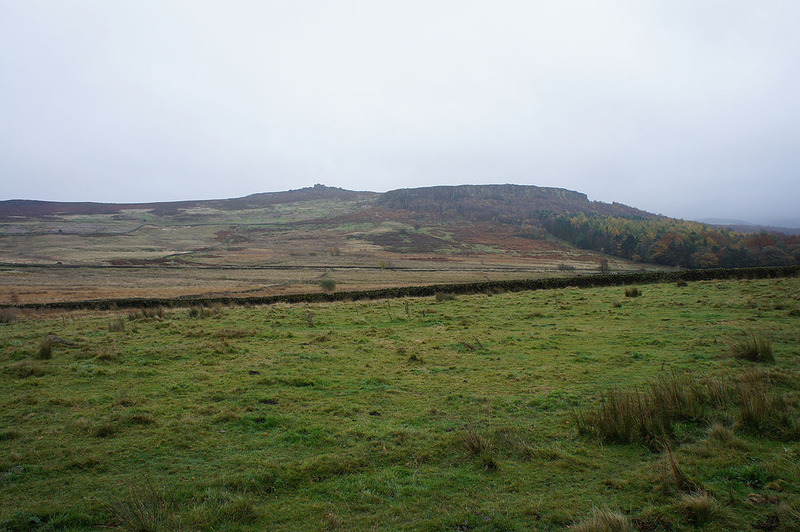 With a bit of height I can make out Eyam Moor and Win Hill on the other side of the Derwent Valley. 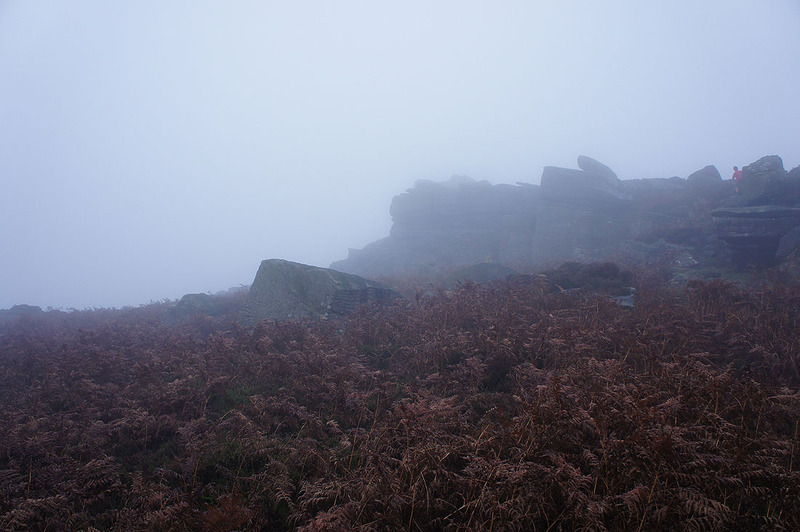 It's pretty murky though. 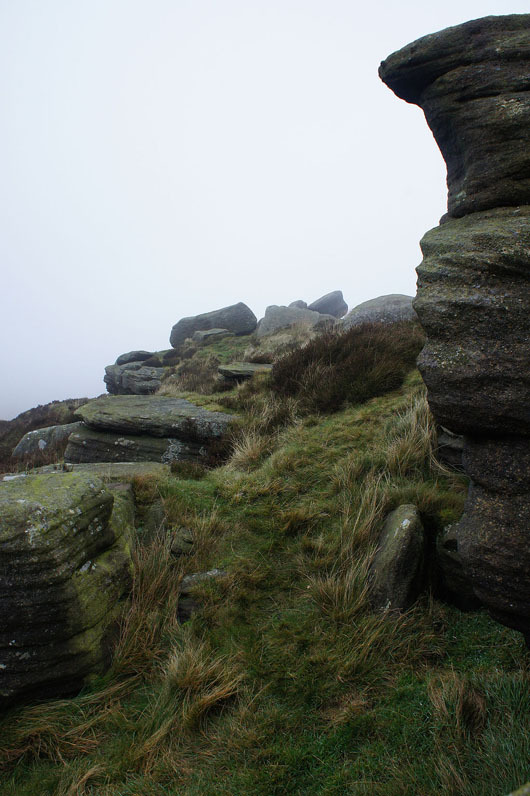 On Higger Tor and in the cloud. 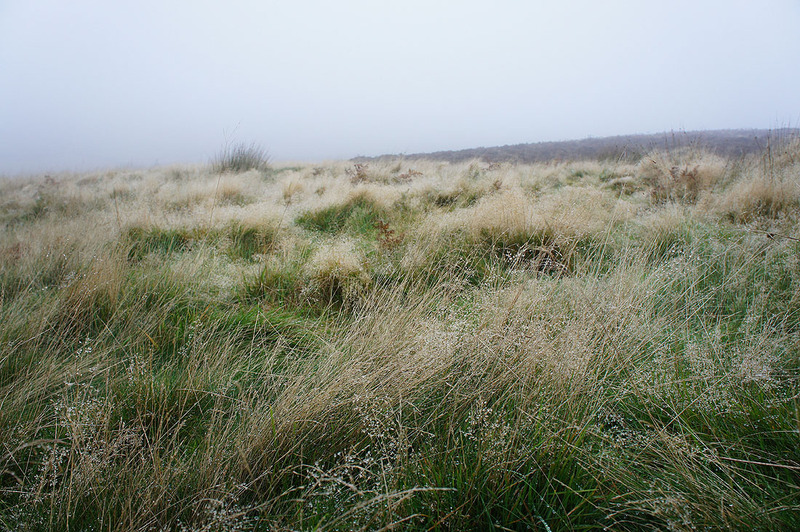 There isn't much visibility.